Sri City, January 28, 2018:- M/s Redstar Plastick Private Limited inaugurated its production unit in Sri City on Sunday. 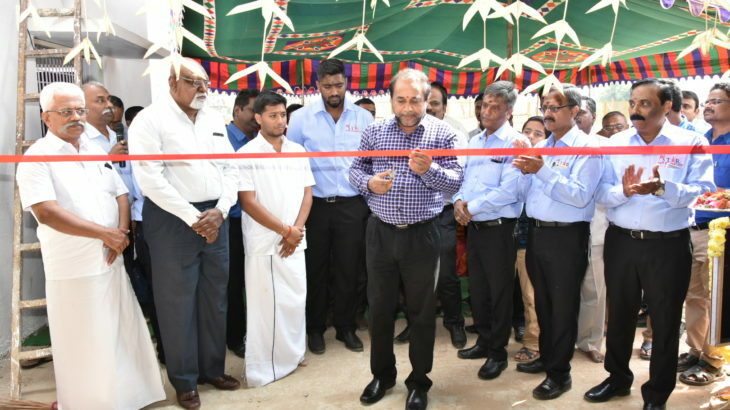 Mr. Parameswaran, AGM of Karur Vysya Bank administered the ceremony and declared the unit inaugurated, in the presence of a host of dignitaries. The unit, set up at an initial investment of Rs.10 crores, will create job opportunity for about 100 persons. The plant will produce PVC edge banding tapes. These tapes are widely used by modular furniture manufacturers in the country, for elegant appearance and protection of furniture. Besides catering to the domestic demand, the company plans to export its products.